The GACC Arizona chapter cordially invites SACC members and friends to the 2018 White Asparagus Gala Dinner at the beautiful Montelucia in Scottsdale. 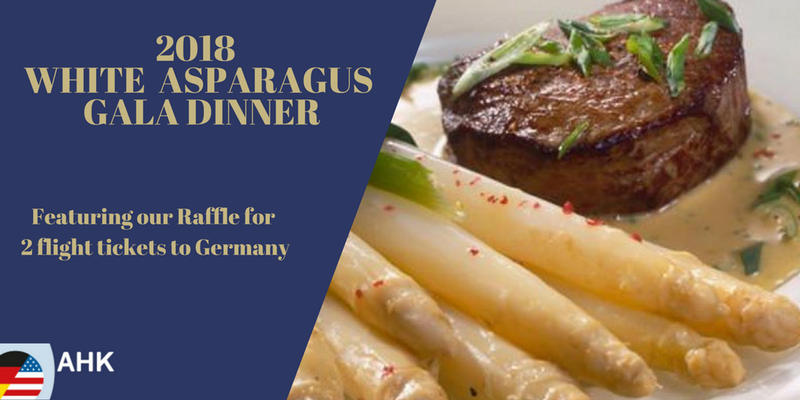 This exclusive event showcases a German delicacy, white asparagus, harvested at Spargelhof Schulze in Germany. The white asparagus will make its way over to Phoenix with the help of our logistics partners, Emotrans and Lufthansa cargo. We will have an authentic German cuisine experience. A selection of beer (Warsteiner) and wine will be available. We will also have an exclusive raffle for 2 premium economy tickets for our new non-stop connection to Frankfurt with Condor Airlines. To read more and purchase tickets - click here.